Which expenses may be paid out of plan assets? Certain plan expenses may be paid out of retirement plan assets, while other expenses are specifically prescribed as plan sponsor expenses, i.e. those that have to be paid directly by the employer establishing the plan. The Department of Labor provided guidance on this issue in a variety of publications and letters. 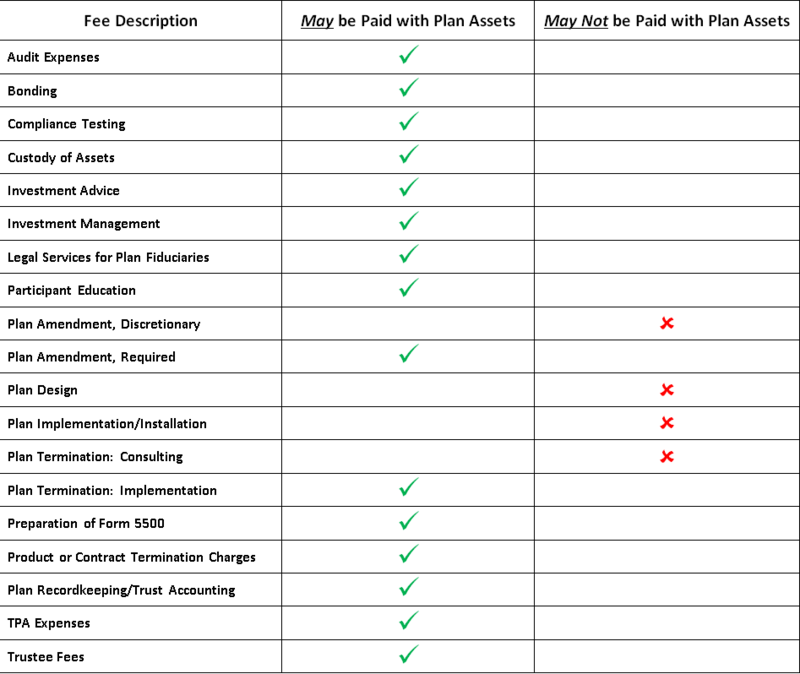 The table below provides a quick overview of the most frequently encountered expenses and their eligibility for payment with plan assets.